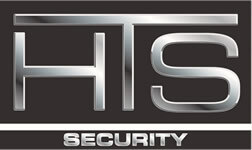 HTS Security installs and services security systems in Rogers, MN. We service the entire Twin Cities and surrounding areas, as well as western Wisconsin. HTS offers basic to sophisticated alarm systems, camera/surveillance systems and access control. Rogers is a city in Hennepin County, Minnesota, United States. The population was 8,597 at the 2010 census.However, the population increased to over 11,000 upon the annexing of surrounding Hassan Township in 2012. The population of Hassan Township was 2,600 in 2010, giving the current city a population base of 11,197 as of the census. The center of population of Minnesota is located in Rogers. The city is a northwest suburb of the Minneapolis–Saint Paul metropolitan area. Located on either side of Interstate 94, with Minnesota State Highway 101 running north, Rogers has been teeming with growth the past 20 years. The 2000-2010 (8,597) population rate was +139.6%.